I’m partnering with Turkey Hill for this post. Summer is here and that means it’s time for ICE CREAM!!! Well, actually, if you live in our house it’s ice cream time year round. In the summer, we combine our love of roadside attractions and ice cream together and have some memorable summer road trips. 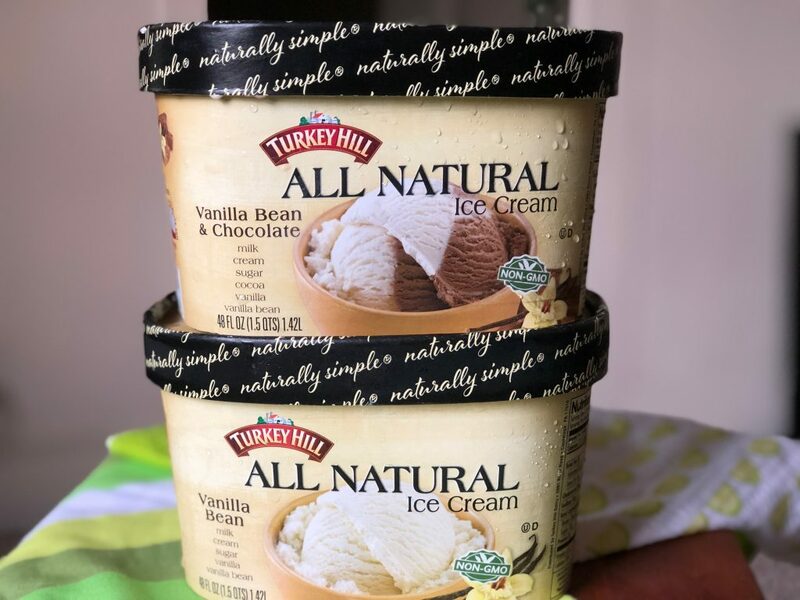 Let’s just say I was a little thrilled to discover that one of our favorite ice cream brands, Turkey Hill, was going to make the roadside attraction plus ice cream so easy for us. 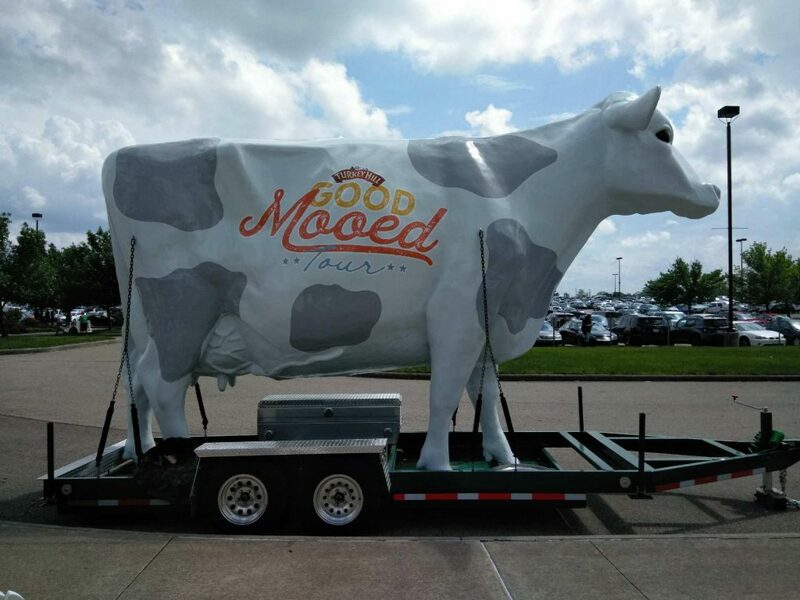 A little birdie told me that they are on the road with their Giant Cow, which is a fantastic roadside attraction photo opportunity. Toss in the free ice cream and some Adirondack chairs to kick back in and this is a no brainer trip. I’m listing dates on when and where you can find the giant cow just in case you feel up to taking a little road trip. These dates are accurate at time of publication. Be sure to check the Turkey Hill website for other dates and locations. It’s important to remember that when you make a trek to go find the Giant Cow that the ice cream is FREE! Yes, that’s right. 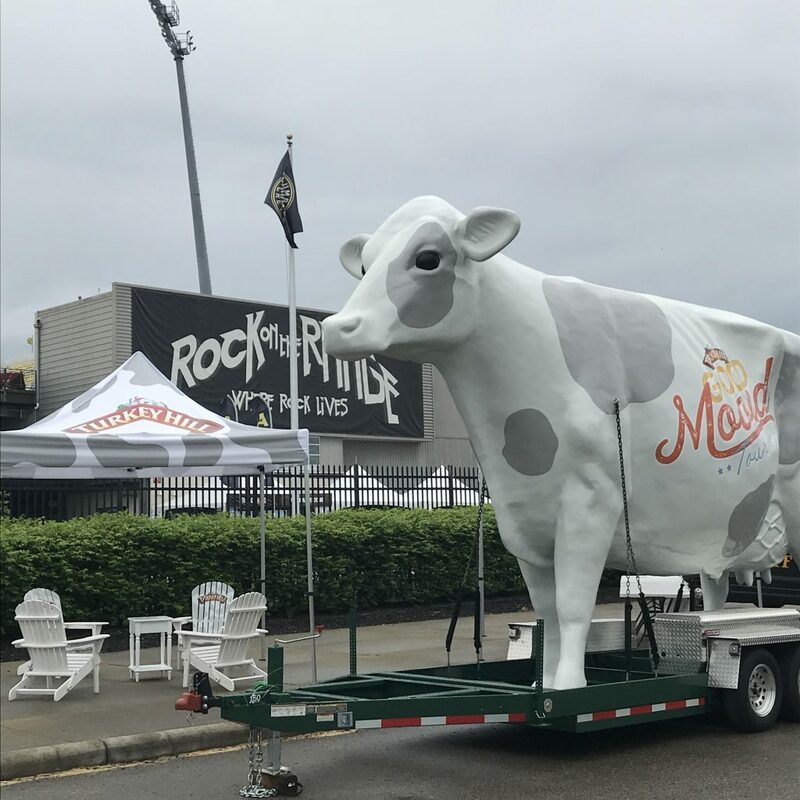 You’ll enjoy free Turkey Hill ice cream while you’re snapping your photo with the cow. WHAT ICE CREAM IS IN OUR FREEZER? I love Turkey Hill for its simplicity and no artificial colors, flavors, or stabilizers. Leaving unnecessary, funky ingredients that I can’t pronounce out of my food is important to me. Plus, it’s how ice cream was intended to be made: with just milk, cream, sugar and natural flavors. This always makes my family roll their eyes, but my absolute favorite ice cream flavor is vanilla. Yep, straight up vanilla. 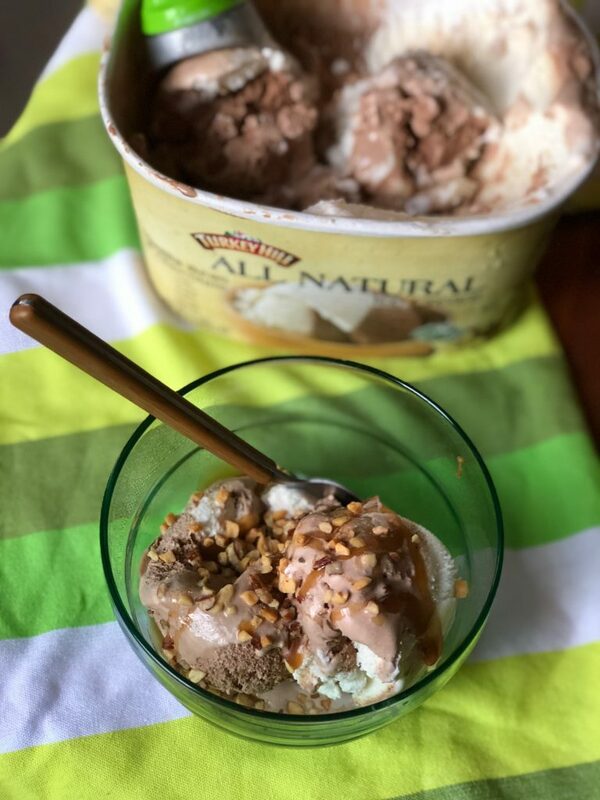 Sometimes I drizzle a bit of caramel over the ice cream or add some strawberries, but, honestly, I just enjoy the simple vanilla flavor. Turkey Hill has a ton of different flavors in their All Natural line up. My fave, Vanilla Bean and, of course, there is a Belgian Style Chocolate which comes in close second for me. 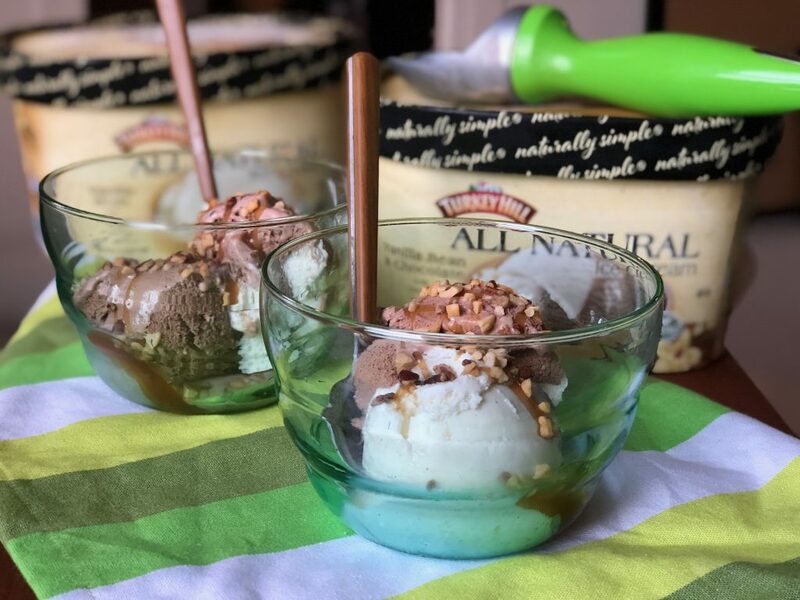 Note, because Turkey Hill All Natural is well, All Natural, it melts a little quicker than other ice creams so you’ll want to scoop and serve immediately. For more information, visit the Turkey Hill online at www.TurkeyHill.com, on Facebook, or on Twitter (@TurkeyHillDairy).